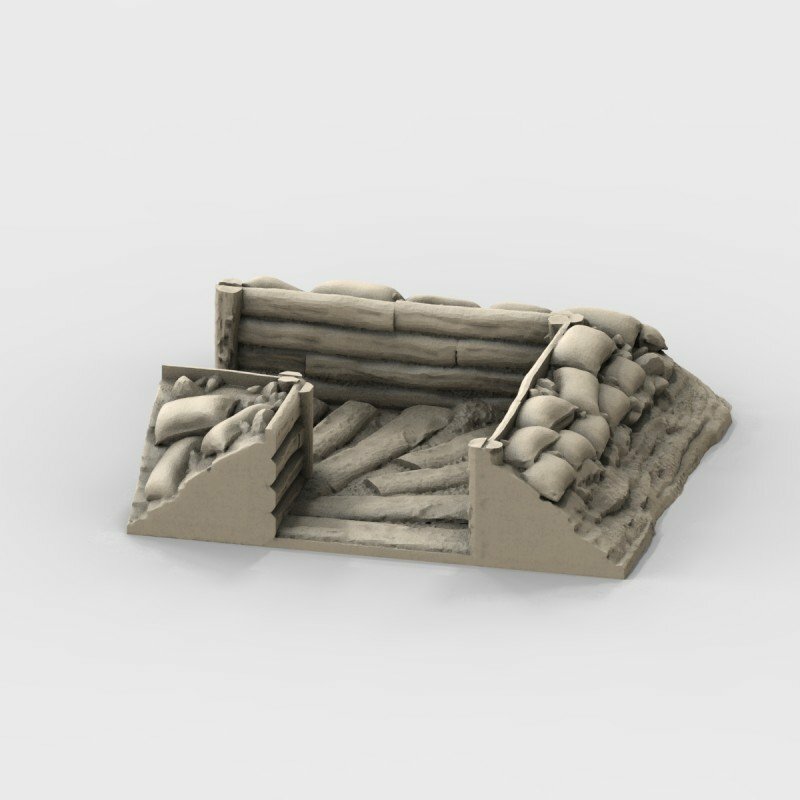 Sandbag and ditch trench networks form the backbone of many defensive lines. 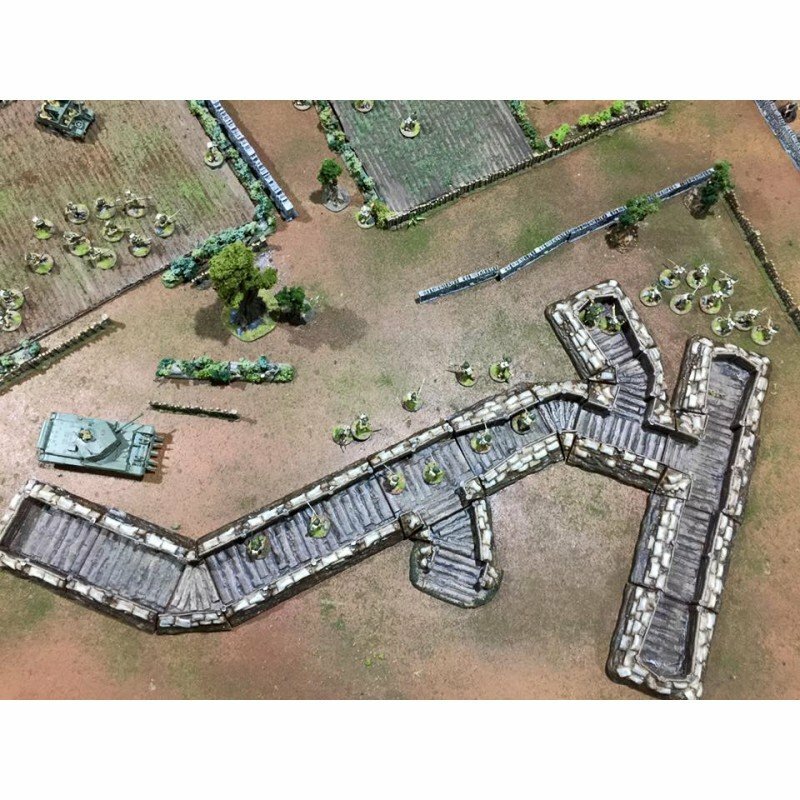 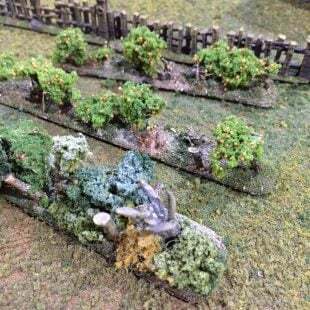 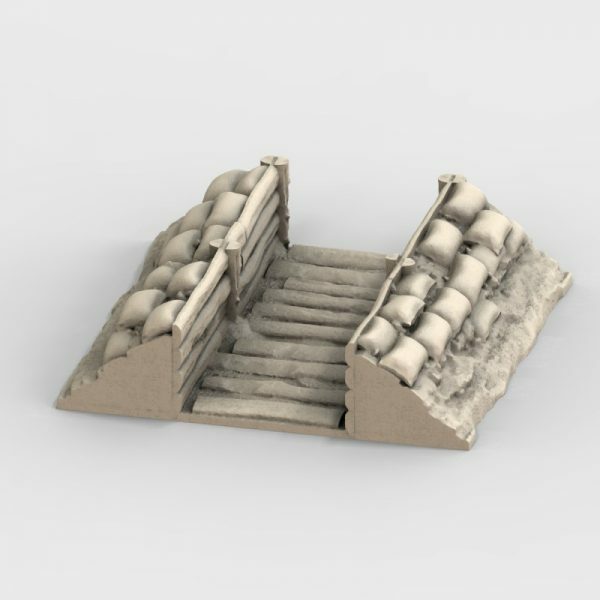 The World War 2 Trench System. This Modular system can be arranged in a variety of different configurations. Consisting of 20 individual sections. 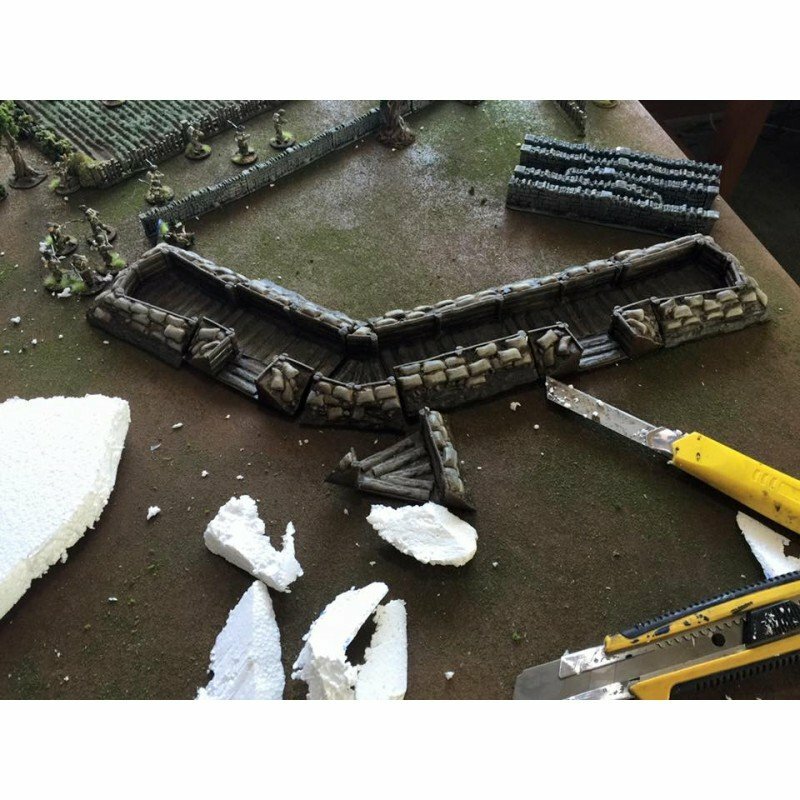 All the trench components will tile with each other. 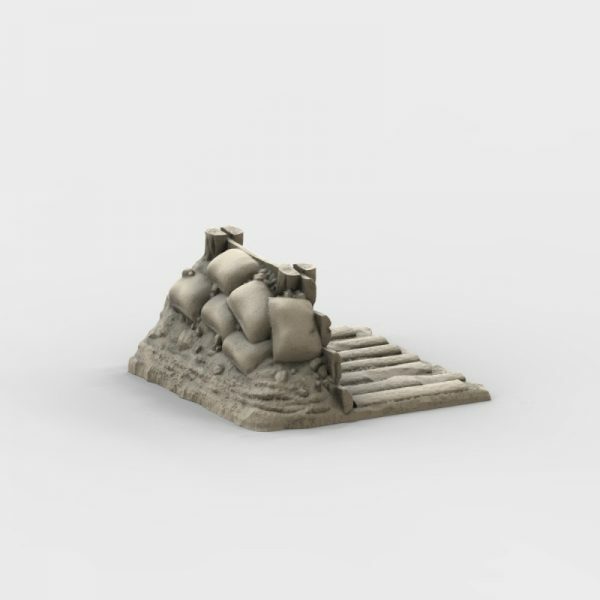 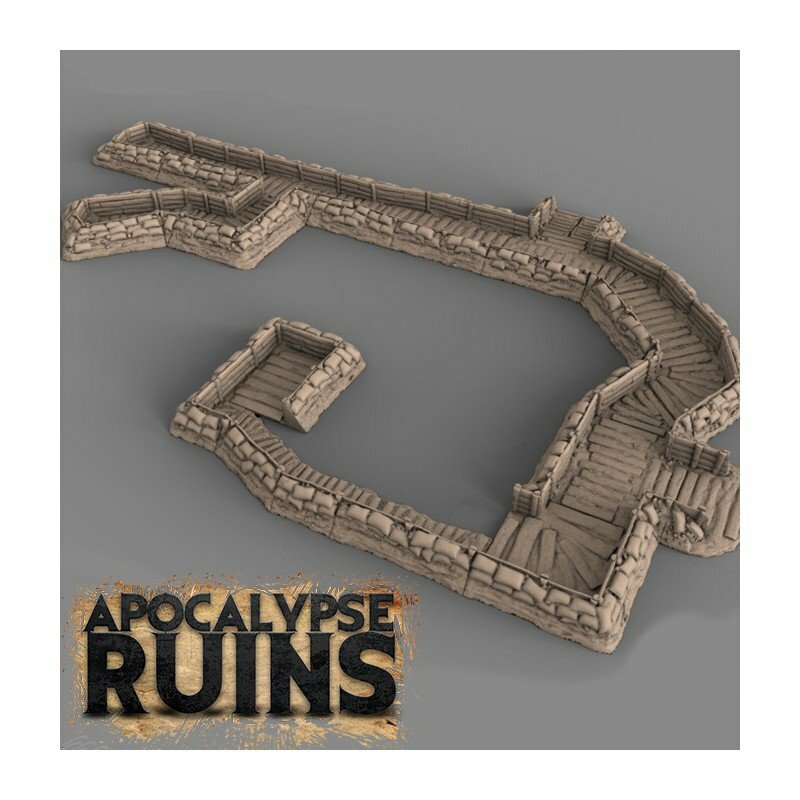 You can also embed these into a hill as shown in the images above. 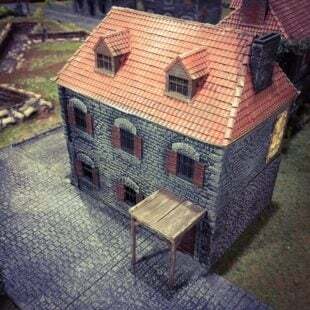 They are based on 100mm x 100 tiles. 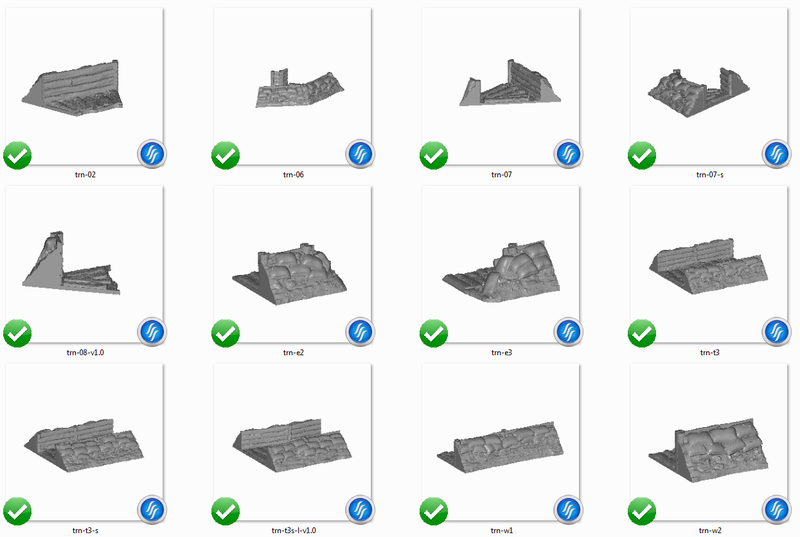 11 July 2017 – 5.1 Small mesh repair to trn-08-v1.0, trn-t3s-l-v1.0, trn-w6-v1.0, trn-w9-v1.0, trn-w10-v1.0. 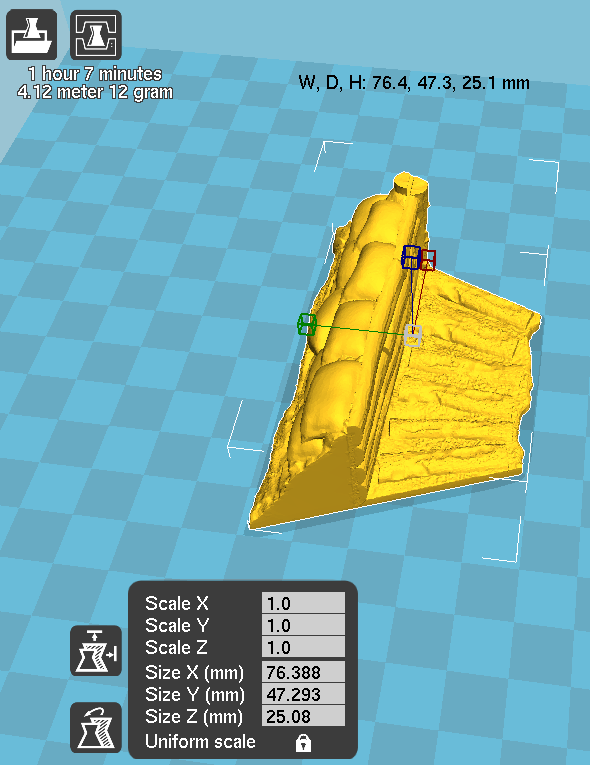 Hey guys, so assuming I just print 1 copy of each of the 20 sections, do you have an estimated time for the whole print? 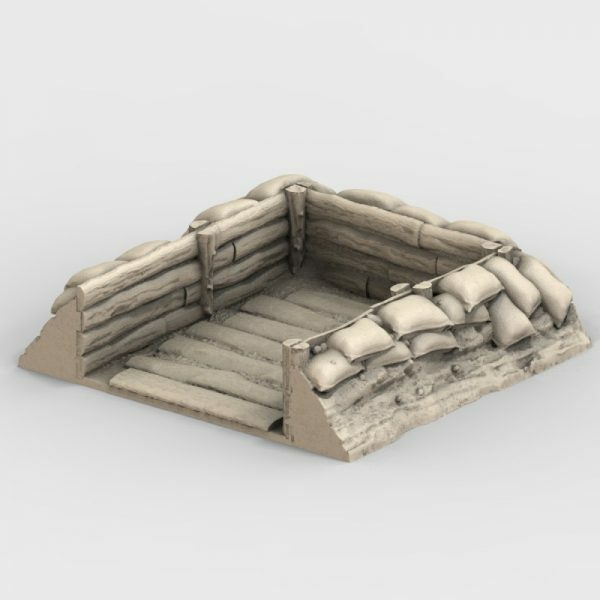 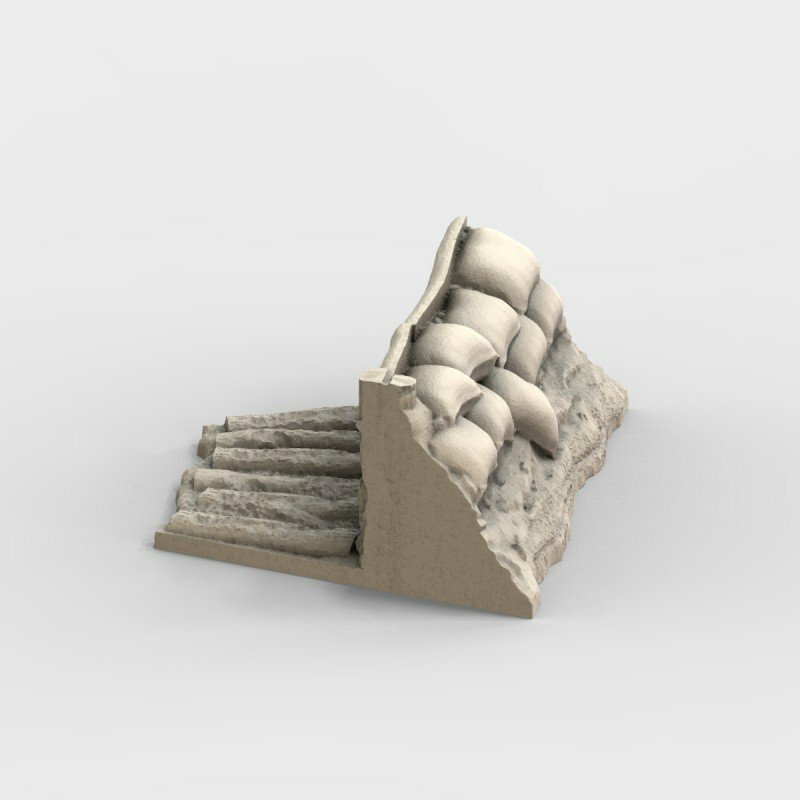 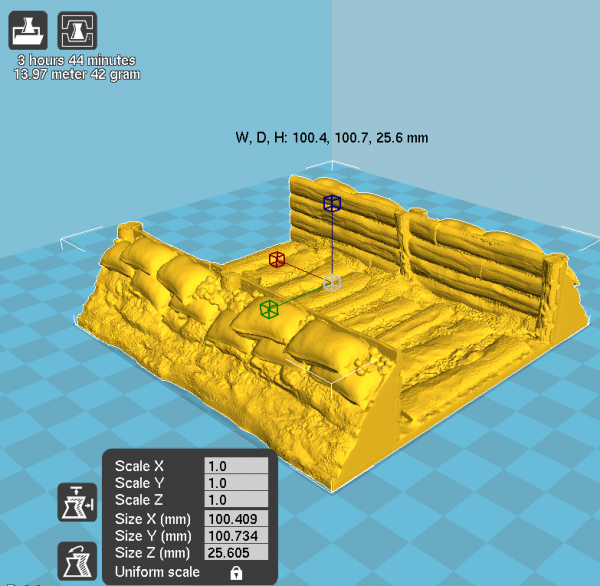 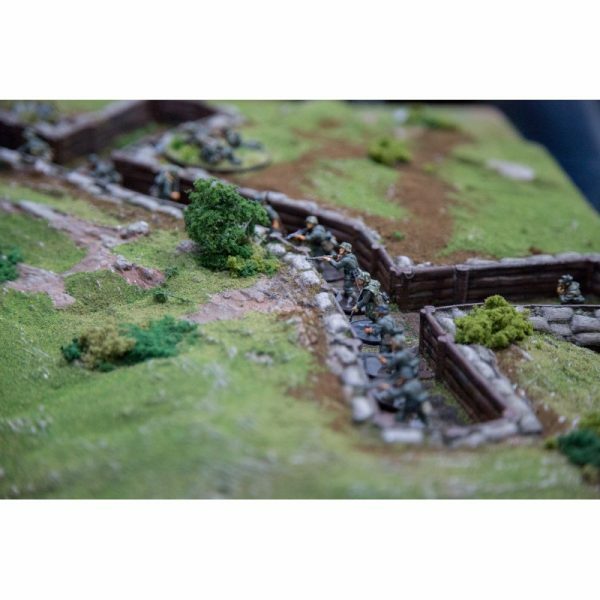 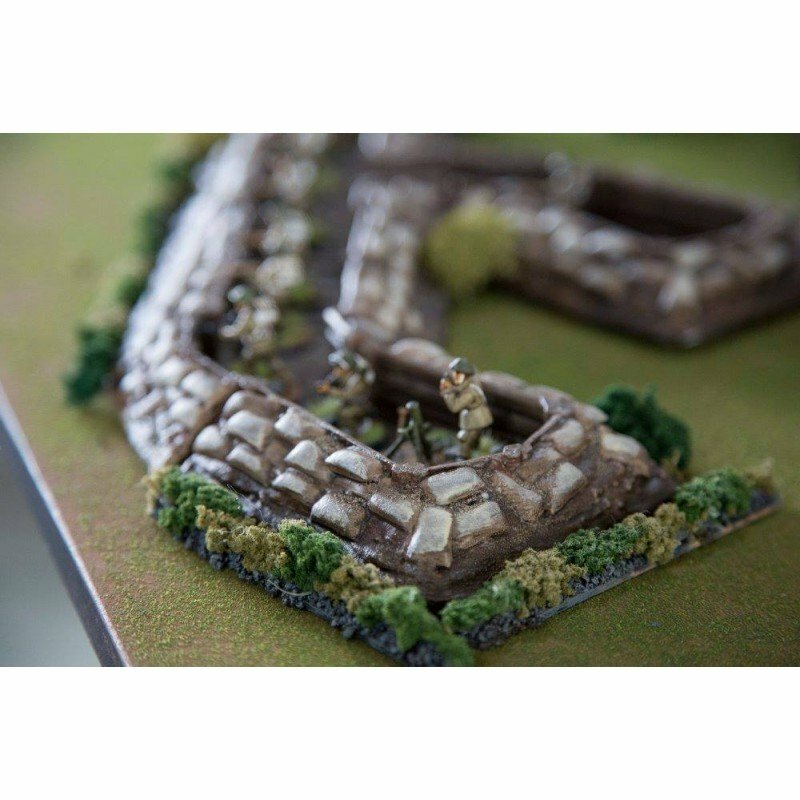 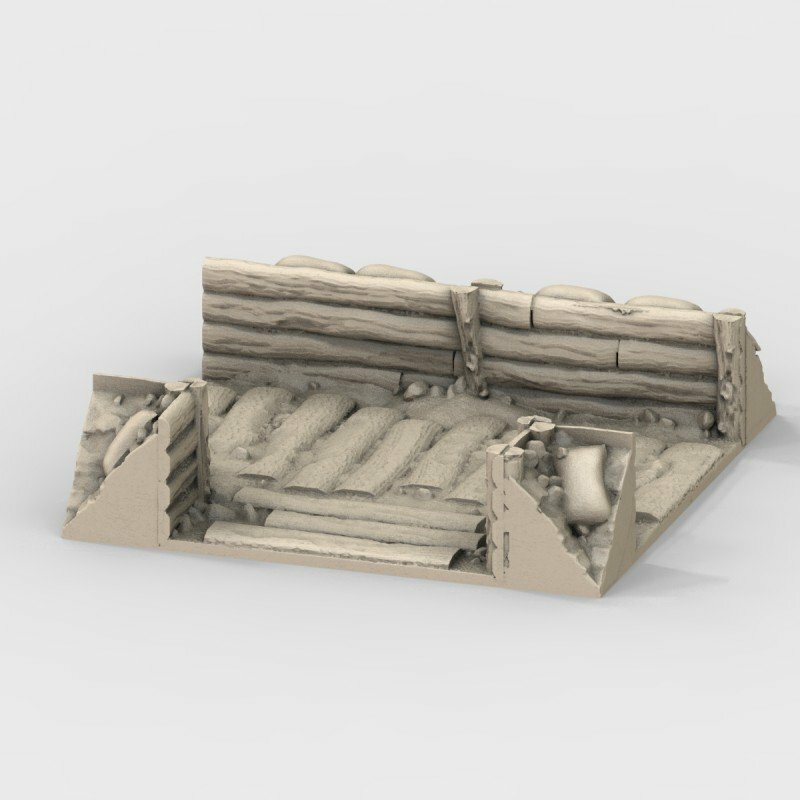 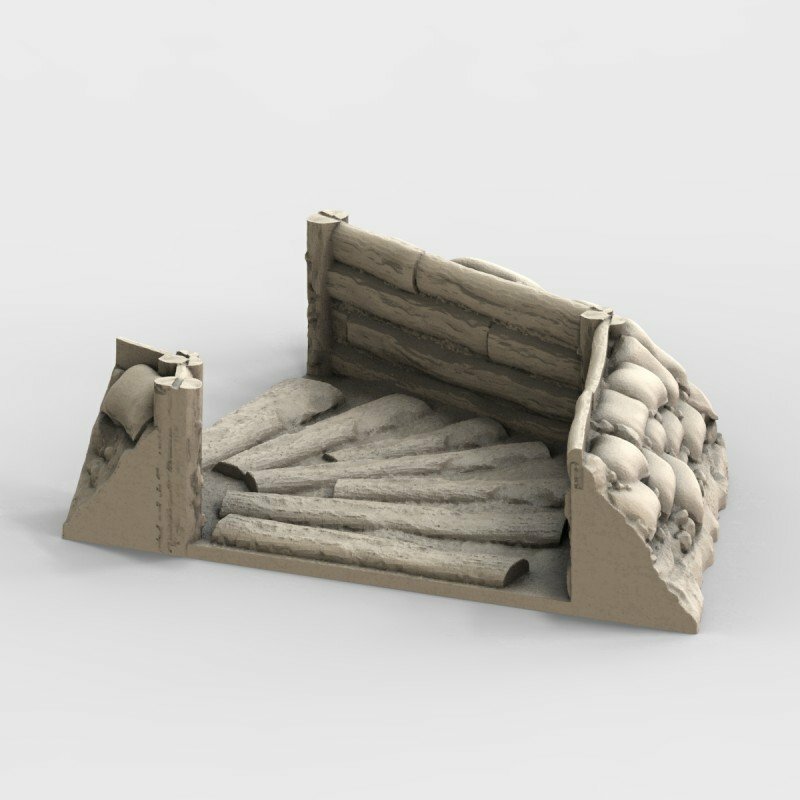 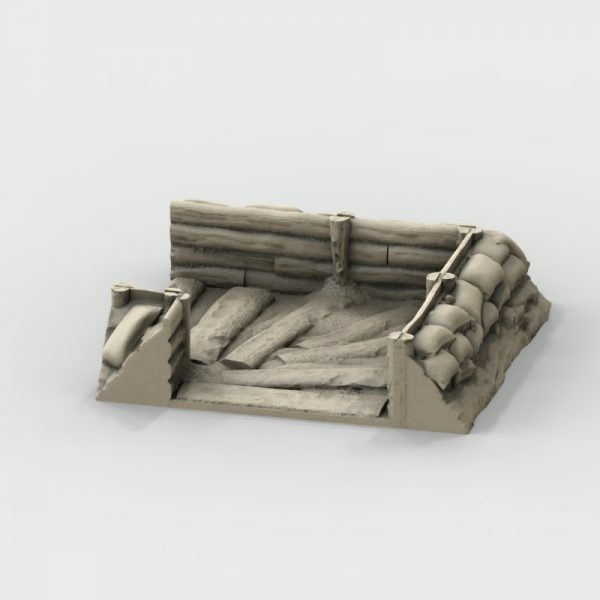 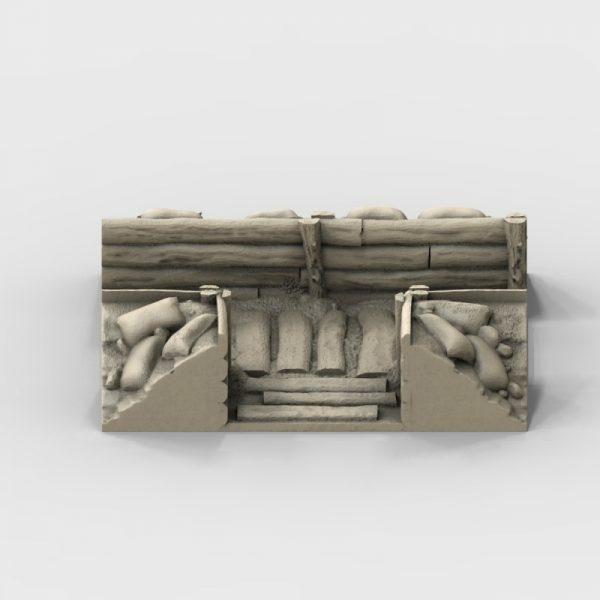 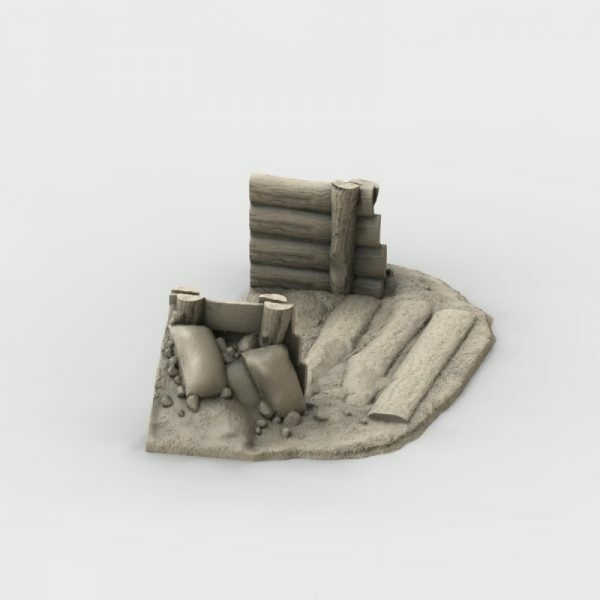 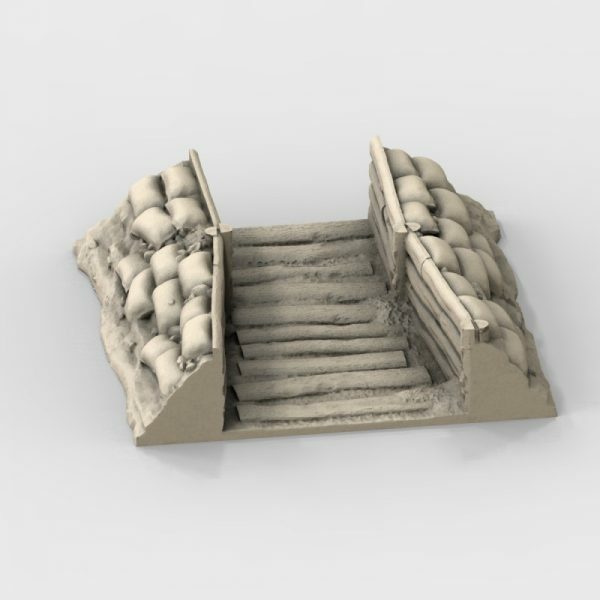 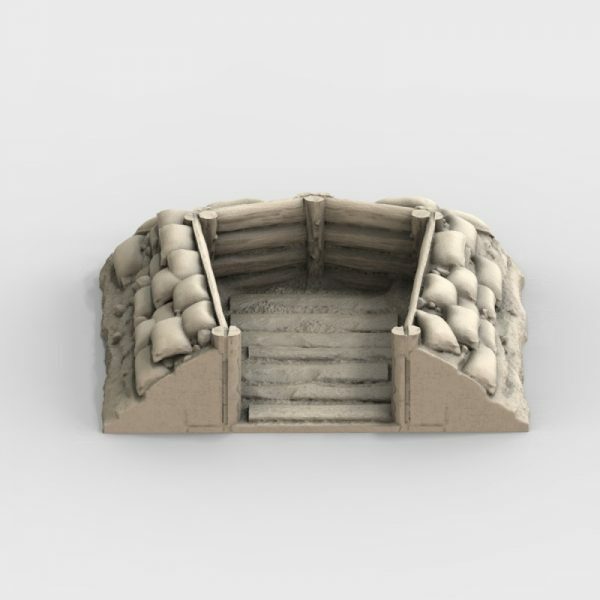 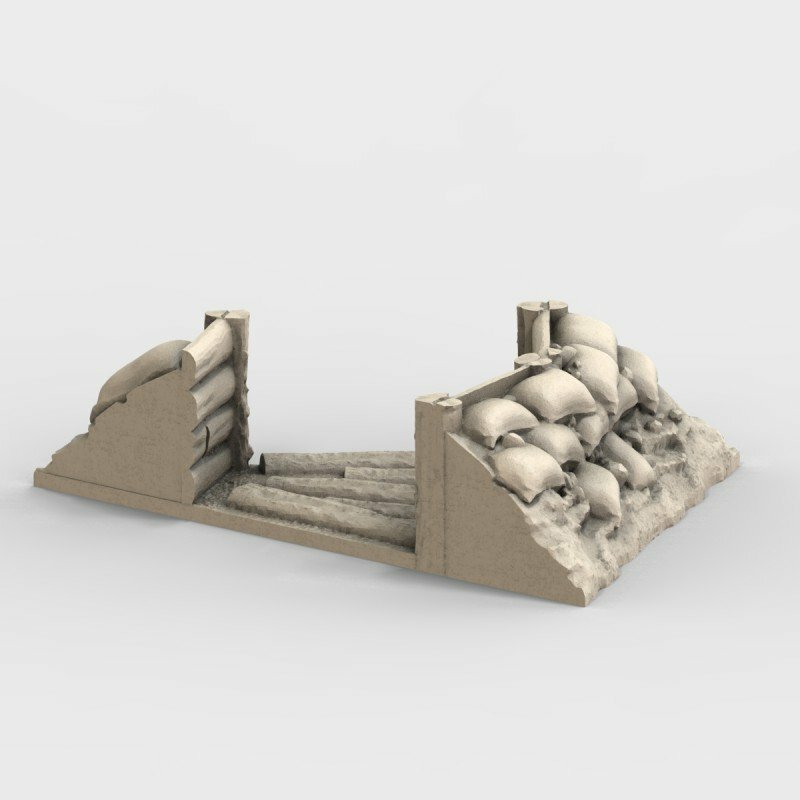 You need to think about what type of trench you want to create before you begin printing. 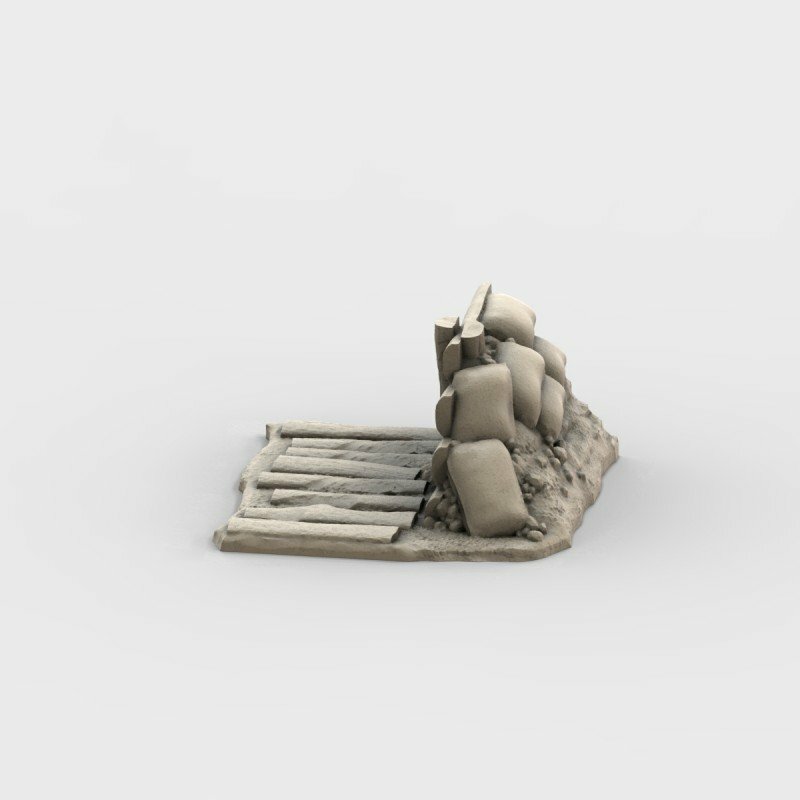 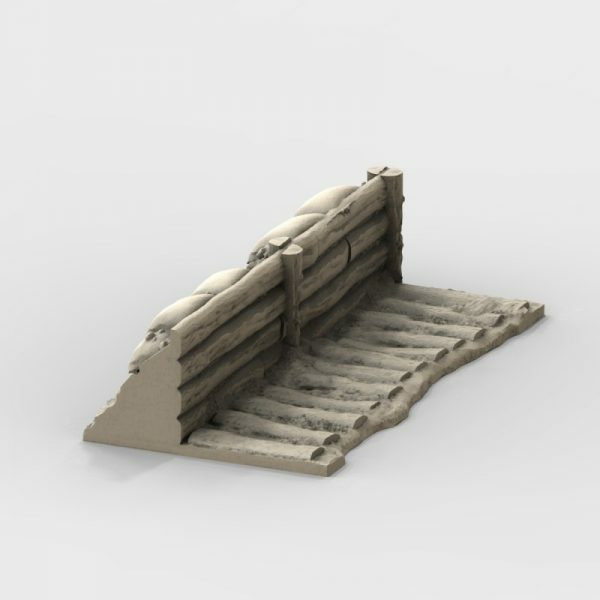 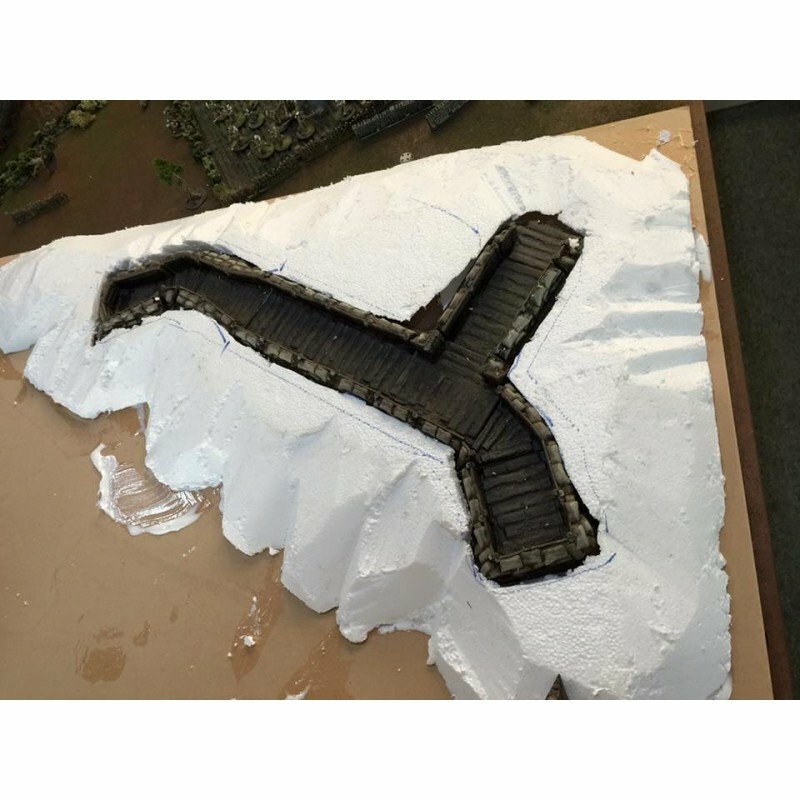 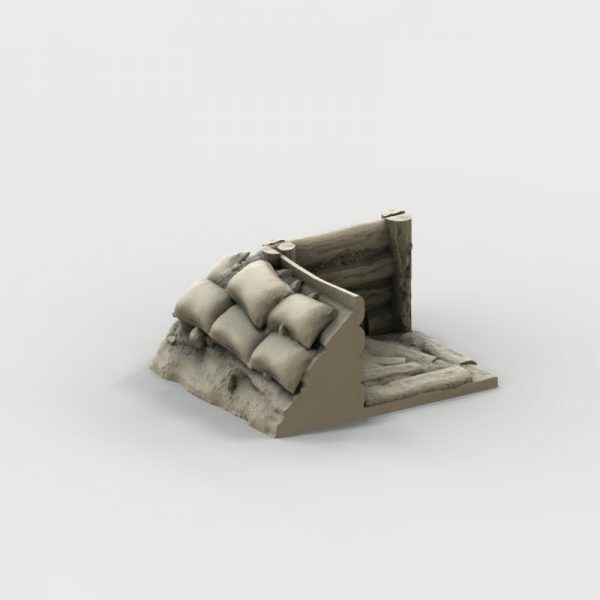 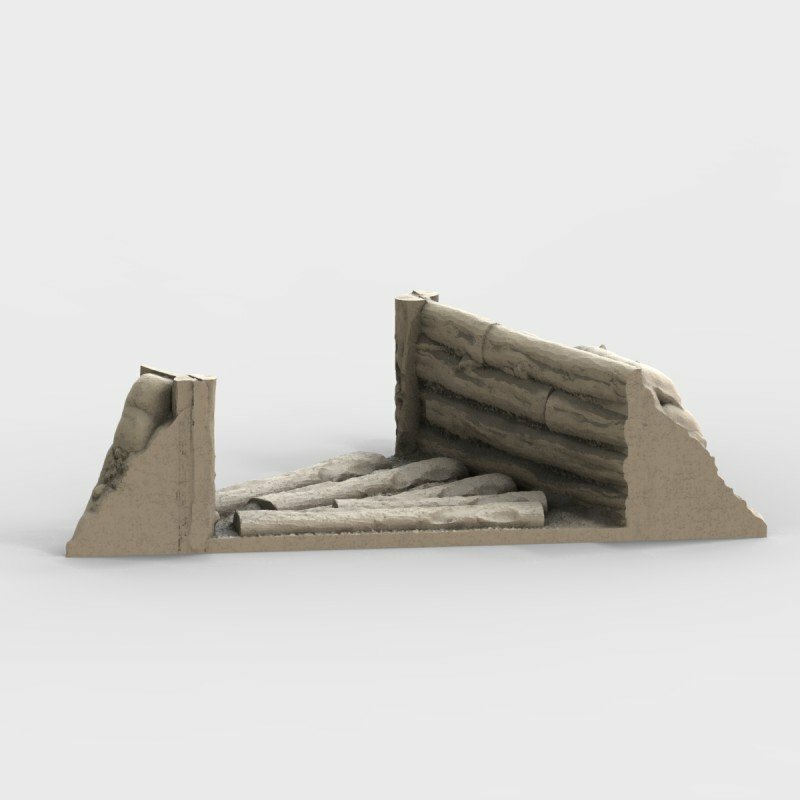 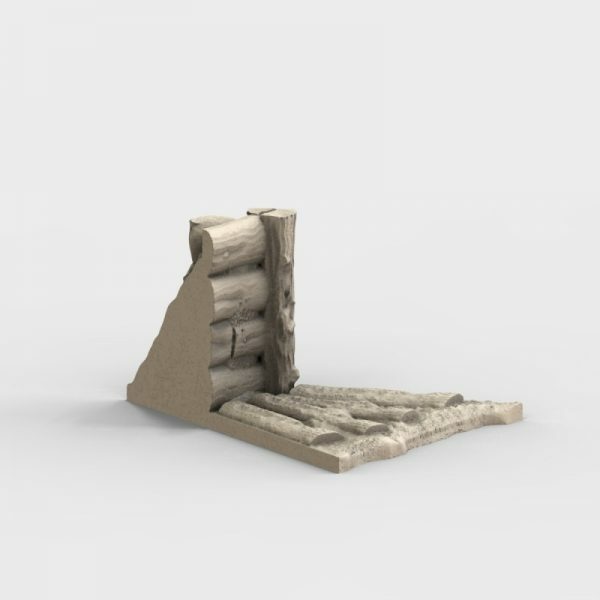 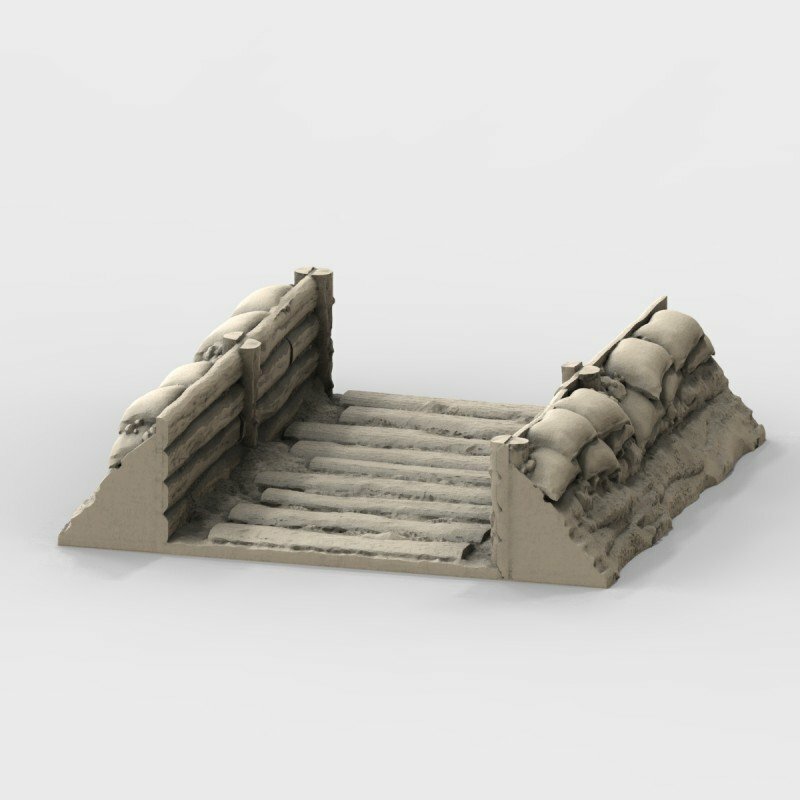 For example, A 100 x 100 mm large trench section will take 3 hrs to print. 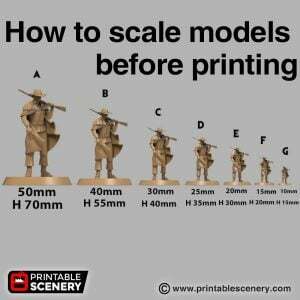 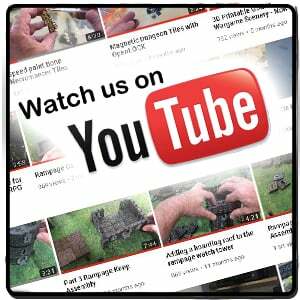 So in a day, you could make a 400mm long x 100mm wide trench. 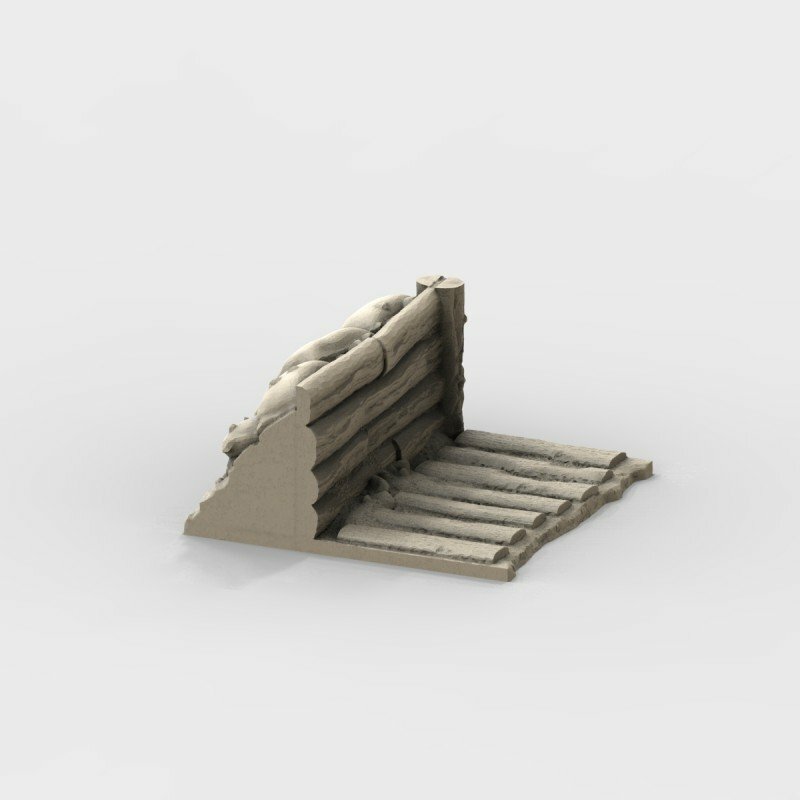 Then you can start to print some bendy sections and T Sections.. and so on.